Onnoghen’s suspension: those attacking Buhari are a danger to Nigeria’s peace — Eze. 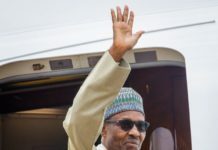 The barrage of attacks on President Muhammadu Buhari by opposition elements in the country and outside for obeying the order suspending former Chief Justice of Nigeria (CJN), Justice Walter Onnoghen, has been described as the response of corruption against moves to finally rout it. Giving the analogy in a statement issued in Port Harcourt on Monday, former spokesman of the defunct New People’s Democratic Party (nPDP) and a chieftain of the All Progressives Congress in the South-South region of the country, Chief Eze Chukwuemeka Eze, also pointed out that the response of the opposition People’s Democratic Party (PDP), once again exposed the party as one that can never divorce itself from its old ways of life and doing, which he said is basically all about corruption. According to the party chieftain, the recent threats by the main main opposition actors, particularly leaders and members of the PDP, calling for unspeakable actions against the country and her law abiding citizens, including threats of war and possible overthrow of government, are not only acts of treason against the Federal Republic of Nigeria, but a sin against God and humanity, adding that those in the lead of these allegedly potent threats to the nation’s peace and progress should be marked by all Nigerians as enemies of our collective peace and development. Eze, who attempted to set the records straight on the action of the Federal Government in relations to the due suspension of the embattled former CJN, pointed out that Justice Onnoghen was only suspended, as ordered by a court of competent jurisdiction, pending the determination of a grave and criminal charge of corruption filed against him, noting further that it would have amounted to more acts of corruption if the erstwhile chief law officer would be allowed to sit much longer as a judge in his own matter. He reiterated that President Muhammadu Buhari acted in the best interests of the nation and in fulfillment of one of the cardinal policies of this administration, which is to fight corruption to a standstill. 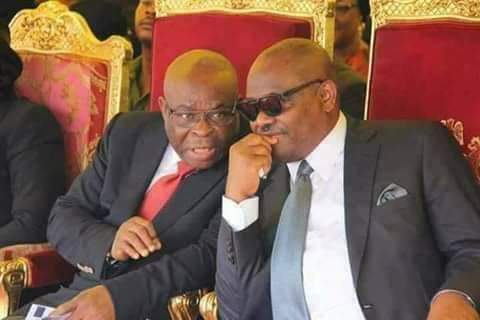 “Besides, Mr. President made a shocking disclosure that millions of dollars was traced to the accounts of the suspended Chief Justice of Nigeria, Justice Walter Onnoghen which he refused to disclose as obtainable in the law. Although the allegations in the petition are grievous enough in themselves, the security agencies have since then traced other suspicious transactions running into millions of dollars to the CJN’s personal accounts, all undeclared or improperly declared as required by law. 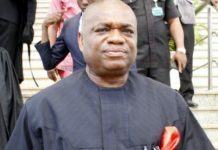 “Under normal practices, one expected that with his moral authority so wounded by these serious charges of corruption, more so by his own written admission, Mr. Justice Walter Onnoghen would have acted swiftly to spare our judicial arm further disrepute by removing himself from superintending over it while his trial lasted. “More worrisome is the fact that a big political party like PDP that has ruined our nation for the sixteen years it govern, through massive looting of our common patrimony with impunity, has shamelessly suspended its presidential campaign for three days in sympathy with one of its key actors in promotion of corruption. 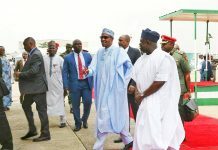 “Sadly also, the Senate President, Dr. Bukola Saraki has threatened to summon the Senate of the Federal Republic of Nigeria this Tuesday, probably to start off an impeachment process against Mr president, seeing that his party, the PDP, has lost hope of winning the February 16 presidential election through the back door. Let me warn that any act that will cause anarchy or breach of peace in any part of our nation should be avoided, knowing very well what some of us suffered to bring this democracy into being. Those very close to the Senate President should counsel him accordingly to avoid him truncating our hard earned democracy”, he counseled. Eze advised Nigerians particularly those crying wolves over an obvious bad case, to be counselled by the Ijaw youth group, under the aegis of United Niger Delta Youth Council, that has declared the embattled Chief Justice of Nigeria, CJN, Walter Onnoghen as a ‘persona non grata’. 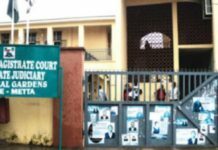 Eze quoted the group as saying “it is, therefore, inexcusable for a man of such high standing to feign ignorance to the law as regards the declaration of assets in the country under the Code of Conduct Act. And if that is the case, then such a person is not fit to hold the exalted position of Chief Justice of Nigeria. We also wish to use this medium to state that corruption as a social vice knows no tribe, race or religion. 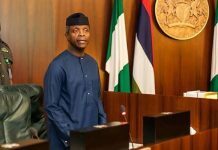 “It is a cankerworm that has eaten deep into the fabric of the Nigerian society over the years, and so, therefore, those that using the suspension of Justice Walter Onnoghen to wipe up ethnic and religious sentiments should desist from such acts as they cannot cry more than the bereaved. Justice Walter Onnoghen a Niger Delta son that is supposed to serve as a role model to us has indeed failed woefully and brought shame and disgrace to the people of the Niger Delta region”, the group had said. Eze concluded by commending President Buhari for acting in compliance with the Order of the Code of Conduct Tribunal by swearing in Honourable Justice Ibrahim Tanko Mohammed JSC, being the next most Senior Justice in the Supreme Court as Chief Justice of Nigeria, in an acting capacity, saying “we can’t continue to condone and support corrupt elements in our system, no matter whose ox is gored”.